If you have been following the Raven Rider’s Series, Sam “Slider” Evan’s story has been my highly anticipated read and how could it not be. Hot single widowed dad. Check! Two adorable sons. Check! Sweet caring nanny. Check! Smoking hot chemistry. Check! Raw palpable love story. Check! Check! Check! So yes, you can imagine my anticipation for Slider’s story and let me just say Laura Kaye did not disappoint at all. Sam “Slider” Evan is part of the Raven Riders Motorcycle Club but when his wife passed away from cancer two years ago, it has left Slider feeling lost and empty. Even though he is a Raven, Slider has distanced himself from club duties and his brothers at the MC. Instead, Slider's life is consumed with work and his two boys. As a single father, Slider is well aware that he needs help and so he hires Cora Campbell as the nanny. 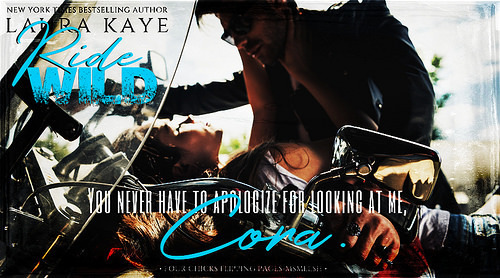 Cora happens to be the best friend of Haven Randall, who is the girlfriend of Dare Kenyon, the Raven Riders Motorcycle Club President. Both Haven and Cora have found safety and happiness within the Raven’s club after escaping their cruel fathers. It doesn’t take long for Cora to instantly fall in love with Slider’s two sons, Sam and Ben. Right away, the two boys easily forms a bond with Cora as she was kind, nurturing, and became like a mother figure for them. And so you could imagine, it didn’t take long for the boys to fall in love with her and vice versa. As Slider witnesses his boys falling in love with Cora, he too can’t help but fall in love with her too. Cora sparked something inside him. It made him feel alive. She filled his heart with so much love, joy and happiness. She saw him. The real Slider Evans and accepted his brokenness. And most importantly, she healed his heart and loved his two sons unconditionally. But what happens when Cora witnesses a crime that could jeopardize her safety and life? How far will Slider go to protect Cora and his second chance at love? Can Cora finally get the family that she always dreamed and hoped for with Slader and his sons? The sexual and emotional chemistry between Slider and Cora was pure bliss. These two were made for each other as they both found healing within each other. 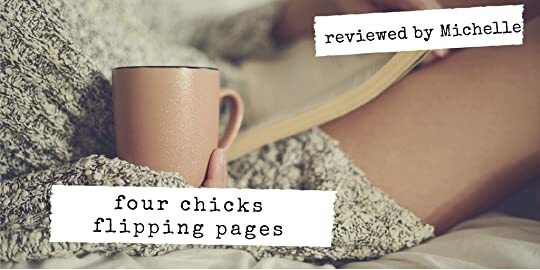 Their relationship was written in such a palpable and heartfelt manner that readers like myself could feel the honesty and conviction of their love for each other. So if you are looking for a story that was brimming with so much raw emotions and healing, then I highly recommend you to read this book. Prepare to fall in love with Cora, Slider and his two boys.